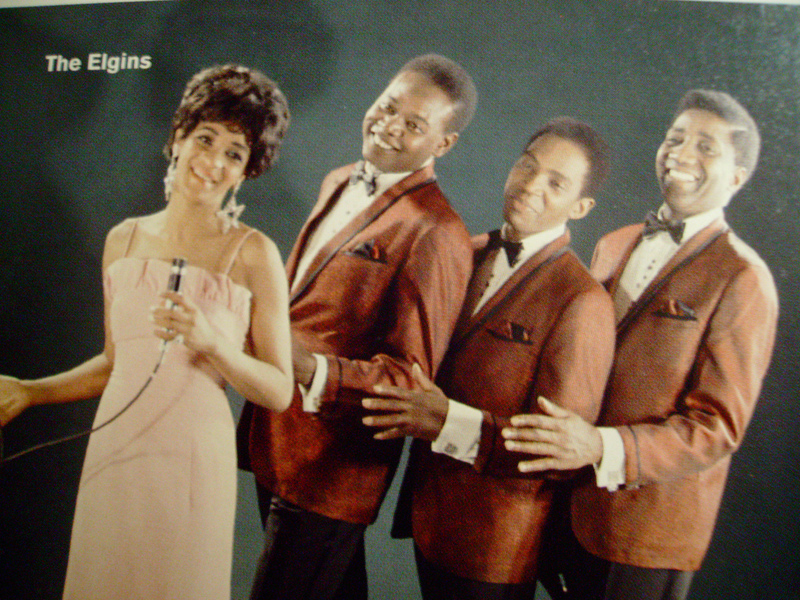 The Elgins started out as an all-male vocal group in the late 50s -- first recording a couple of singles under the name The Five Emeralds for the S-R-C label and then another two singles as The Downbeats for Peacock Records. 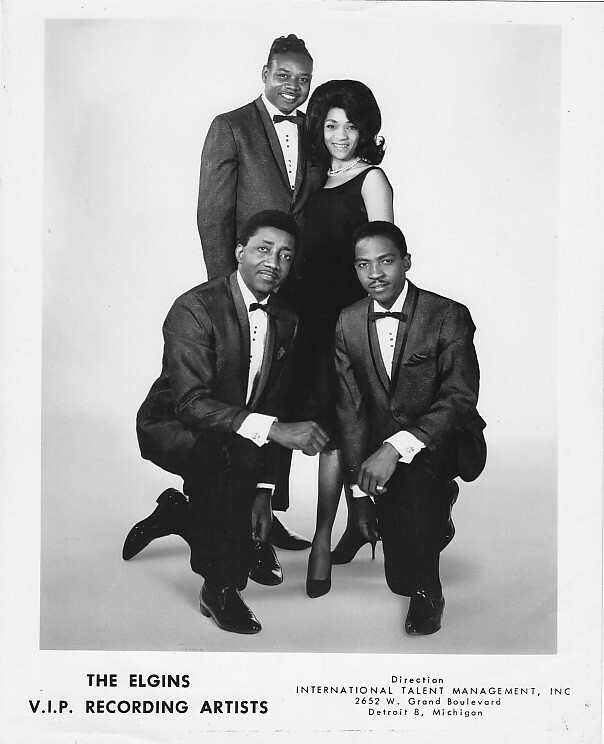 In 1961 they got signed to Berry Gordy’s budding Tamla Records label. Their releases for the Motown family imprint were sporadic, however. 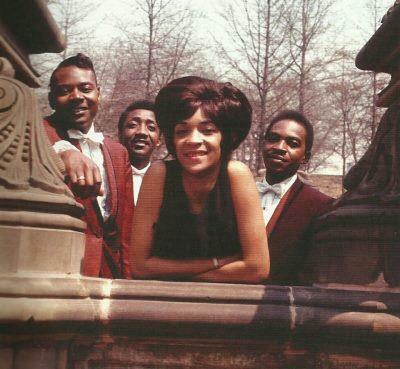 In 1965, lead vocalist Saundra Mallett -- one of the finest vocalists in the Motown Records stable -- joined Dawson, Miller, and McLean. Four years earlier, in 1962, Mallett had recorded “Camel Walk” b/w “It's Gonna Be Hard Times” for Tamla as Saundra Mallett & The Vandellas. Motown was all set to issue the quartet’s debut for their V.I.P. 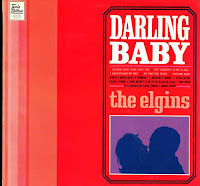 label, “Darling Baby” b/w “Put Yourself In My Place“, credited to the Downbeats. Berry Gordy realized that there was another Downbeats group around. 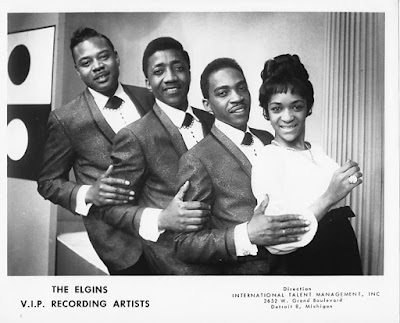 Johnny Dawson suggested the name The Elgins to the group and all agreed. They told Gordy about their decision and he was pleased with it. Before Motown sent out the promos they slapped new labels on the 45s with the group’s new name. V.I.P. failed to promote the single outside the greater Detroit area, but it still managed to score a slot on the national R&B charts. 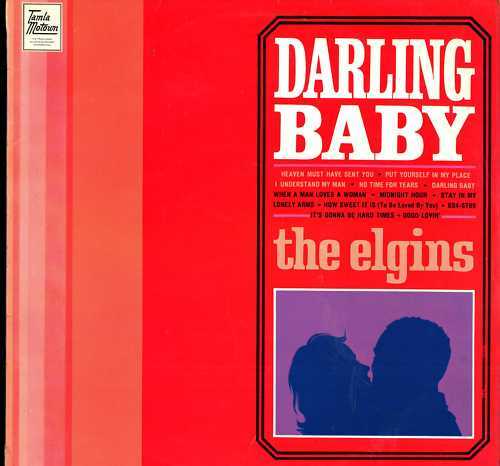 Released in December 1965 both sides charted starting in February 1966, “Darling Baby” reached #4 R&B and #72 Pop, while the flip reached #92 Pop. Eight months later, the Elgins issued “Heaven Must Have Sent You” b/w “Stay In My Lonely Arms” in July, but took several months to catch on. The single entered the charts in late September, eventually reaching #9 R&B and #50 Pop. They followed up with a full album, “Darling Baby” -- the first V.I.P. album -- in October 1966. A third single, “It's Been A Long, Long Time” b/w “I Understand My Man” proved tru to it's title, since it had been nearly a year since the last single when it was released in June 1967. It reached #35 R&B and #92 Pop, but proved to be the group's last chart success. Saundra Mallett decided to leave the group in the fall of 1967 to focus on raising her family. 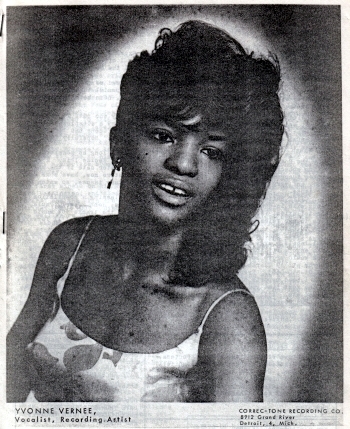 The group added another local Detroit singer Yvonne Vernee to front the group and recorded several tracks -- but by then Gordy and Motown had lost every interest in the group and none of their efforts were released. 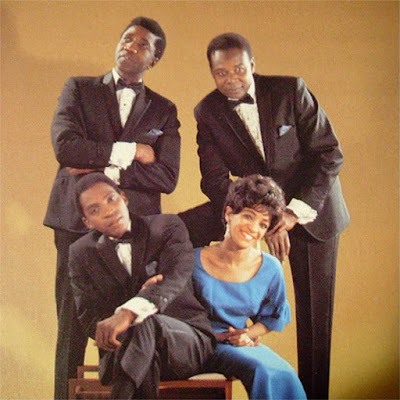 Surprisingly, Tamla Motown decided to re-release “Heaven Must Have Sent You” in the spring of 1971 in England where it suddenly shut up the charts to become a UK #3 hit in June. (V.I.P. re-released it also in the U.S., although there was no chart action there). It was such a big hit in England, in fact, that The Elgins got to make two tours of the British Isles in late 1971 and early 1972.